2. To cook 1½ cups onions for sauce: cook in microwave for 2-3 minutes to soften. 3. Pour barbecue sauce into crock-pot. Add softened onions and mix well. 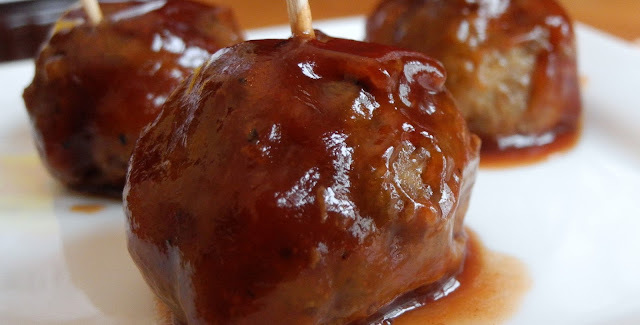 Drop meatballs into sauce. Mix around to cover completely with sauce. Set crock-pot to low, 6 hours or on high heat 3 hours.